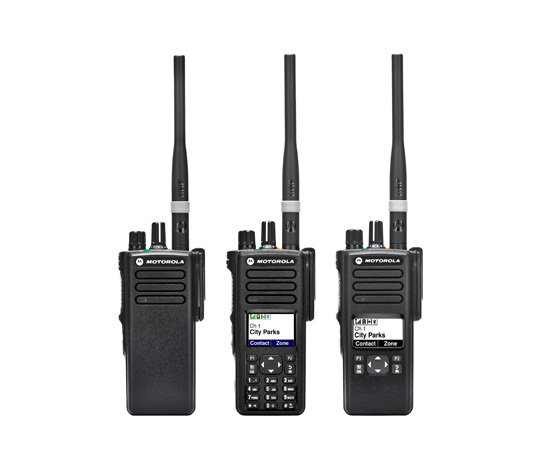 This series of intelligent voice & data hand portable two-way radios from Motorola Solutions come in either a standard or GPS model and have available a number of safety features which we can activate at any point to protect your lone workers and ensure they always have a means of communication open to them which isn’t reliant on a cellular signal or WIFI connection. Radio Check – this feature allows you to determine if another radio is active in a system without disturbing the user of that radio. No audible or visual notification is shown on the target radio. Remote Monitor – use the remote monitor feature to turn on the microphone of a target radio (subscriber alias or IDs only). No audible or visual indication is given to the target radio. You can use this feature to monitor, remotely, any audible activity surrounding the target radio. Your radio must be programmed to allow you to use this feature. The radio remains in the emergency state allowing voice messages to proceed until action is taken. Your radio must be programmed to allow you to use this feature. Anti-Movement Alarm – when your radio is motionless for a period of time, it plays an Alert Tone (if programmed). To prevent the radio from automatically starting an Emergency Call orEmergency Alert, move the radio immediately. Movement Alarm – When your radio is in motion for a period of time, it plays an Alert Tone (if programmed). To prevent the radio from automatically starting an Emergency Call or Emergency Alert, stop the radio’s motion immediately. Your radio must be programmed to allow you to use this feature. MOTOTRBO IP Site Connect removes all issues you may experience with other technologies such as physical barriers, manual intervention for roaming, limited coverage or lost functionality. And then there was the bonus of no monthly service or access fees to factor in. Lone Worker – by utilising alongside our lone worker app you will have a fully recordable and reportable system which can assist with insurance mitigation, no hefty monthly tariff charges and position reporting utilising the two-way radios built-in GPS location data information which is sent a to a central point during an emergency situation. iBeacons – suitable for indoor & outdoor location tracking, these small, battery-operated units broadcast their unique identifier over Bluetooth. The radio continually listens for the iBeacons, and periodically sends a report over the MOTOTRBO™ data channel to the application.